The Staff at Basin Recreation loves to see you get outside! We are proud to manage over 150 of the 400 miles of the non-motorized system of trails that was given the IMBA Gold Level Ride Center Award in 2012. 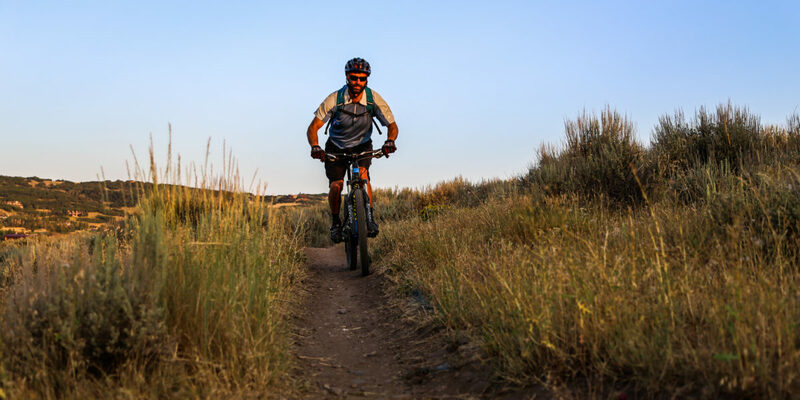 The Trails Department maintains 24.5 miles of paved trails, 10 miles of soft surface trails, 116 miles of natural surface trails, and the Trailside Bike Park. 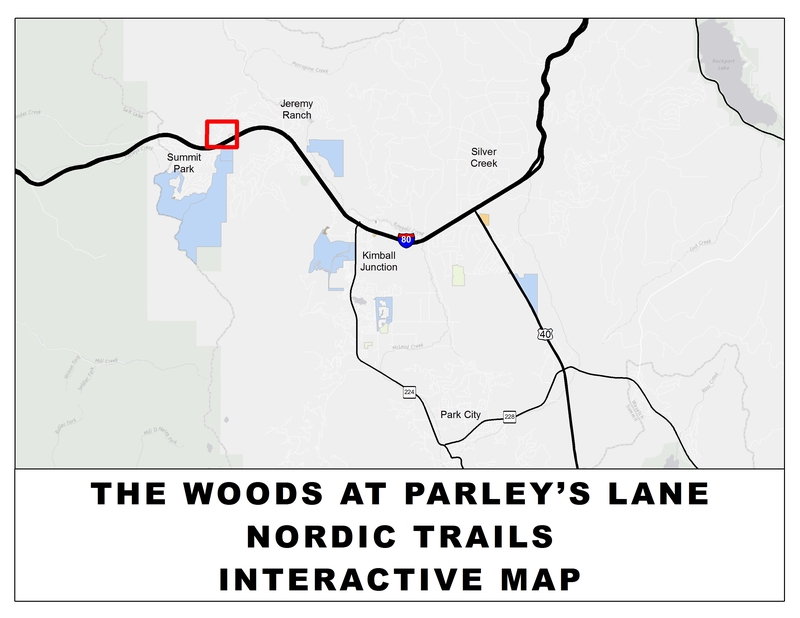 The local trails inventory includes the popular Mid-Mountain Trail and Flying Dog Trail, along with other local favorites such as The Road to Arcylon and Pinecone Ridge Trail. Over 18 miles of multi-use winter trails are groomed and most the backcountry trails are popular snowshoeing and fat tire biking routes. 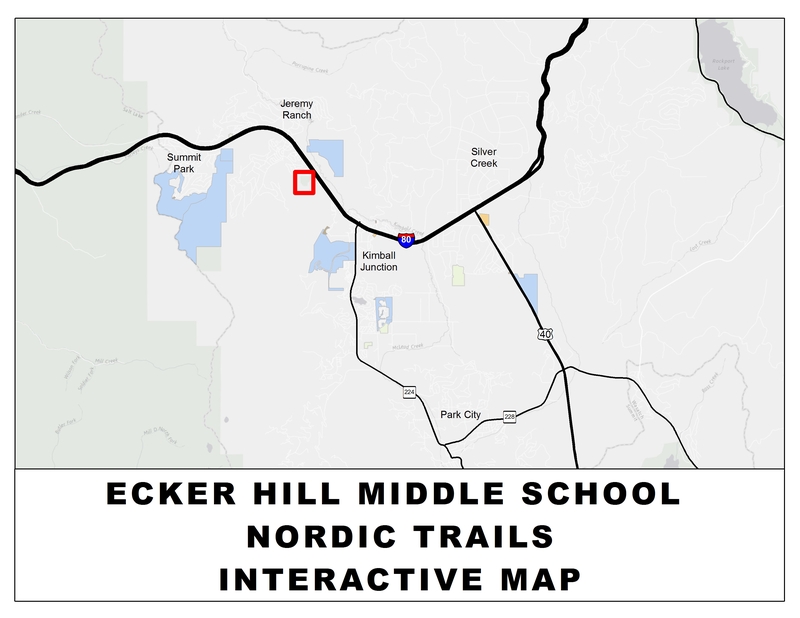 The system of trails in the Snyderville Basin is undergoing continued expansion. 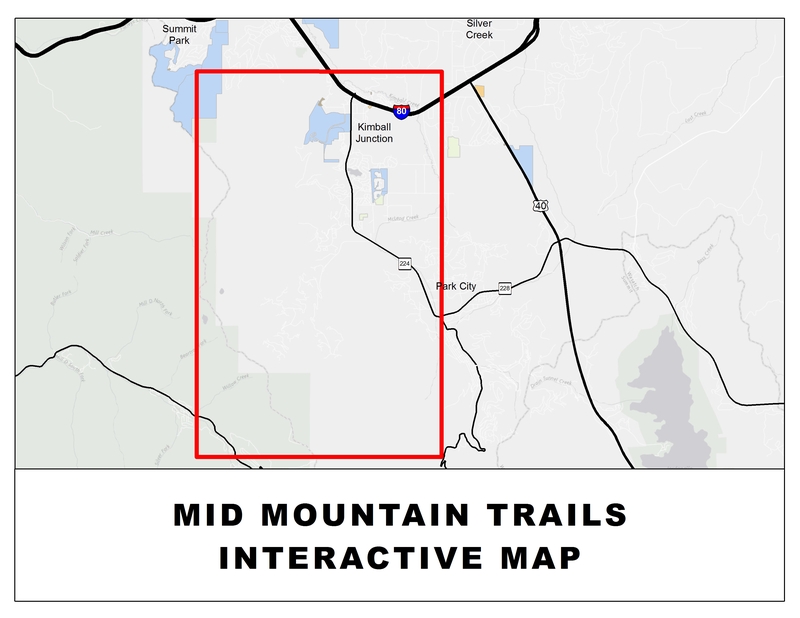 With over 2,000 acres in recreational open space, we are excited about new trail opportunities. 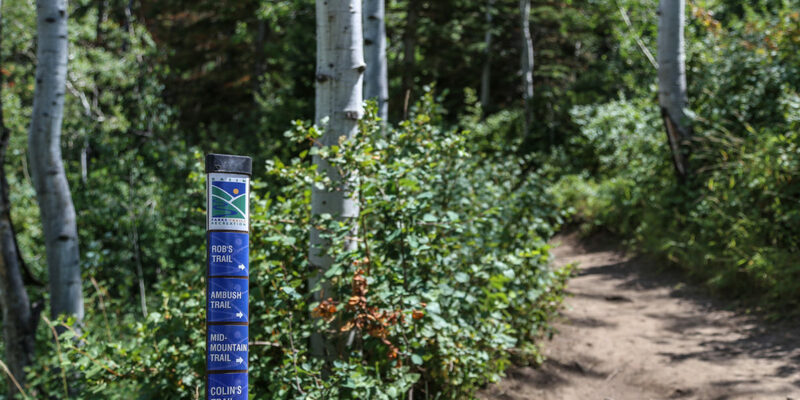 This system of trails is made possible by working collaboratively with developers, private property owners, other governmental entities, and non-profit trail advocacy organizations. 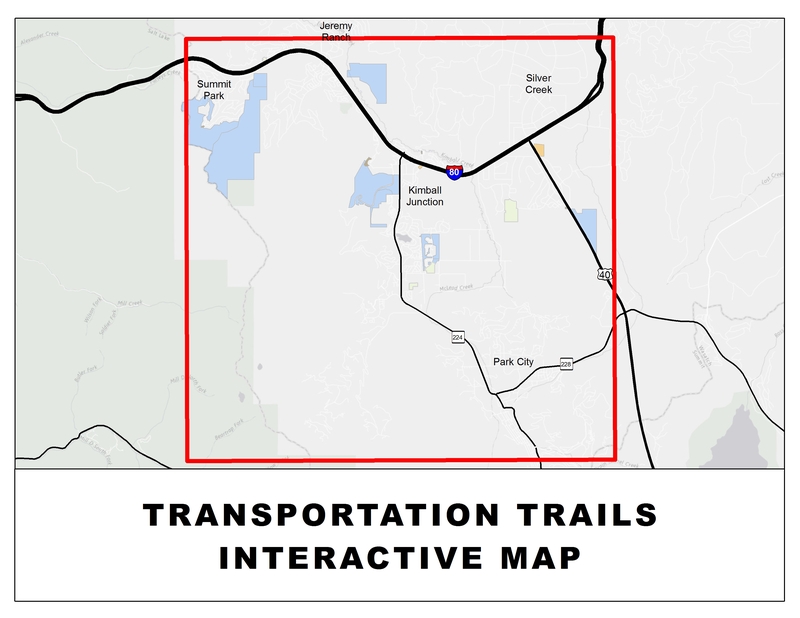 Residents of the Snyderville Basin have supported trail development by approving over $10 million earmarked for trail system improvements through voter authorized bonds since 2002. 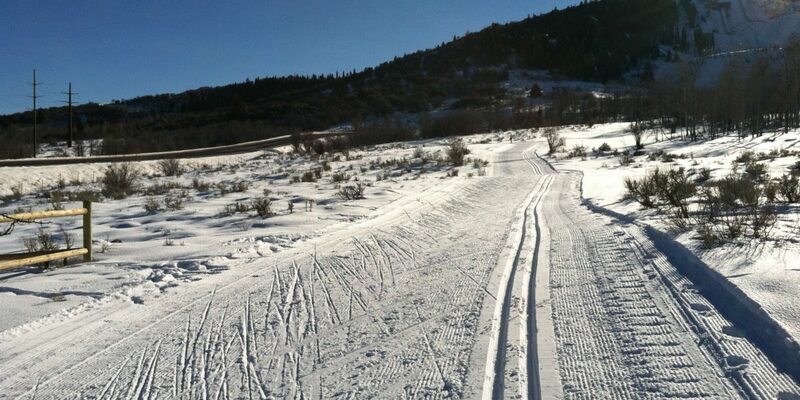 Please review the “Trails Report” link for the latest conditions on each of Basin Recreation’s trails. We will do our best to keep it updated and relevant. Respect any trail closures and understand that, just because the trail appears dry doesn’t mean that it will remain dry further down the trail. We always place signs at the closest junction for your convenience. Summers in the Snyderville Basin are spectacular and there is no better way to enjoy the area than exploring our trails. 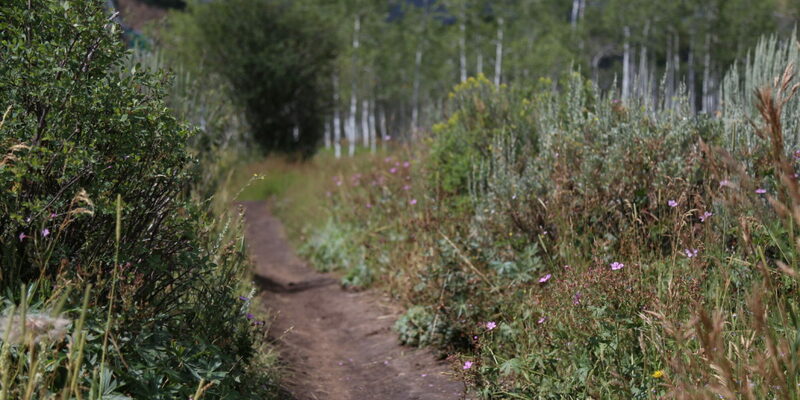 Whether you are a hiker, mountain biker, trail runner, equestrian, or dog walker, Basin Recreation has a trail for you. With so many levels of difficulty, length and scenery, please get out and explore all that our incredible trail system has to offer. The system of trails in the Snyderville Basin is undergoing continued expansion so check back often for the latest trail opportunities. 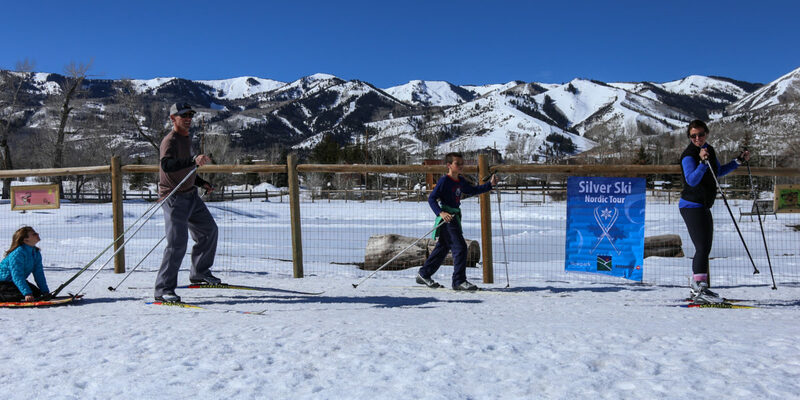 During the winter season, Basin Recreation packs and grooms 18 miles of connected trails in the Willow Creek Park and Utah Olympic Park areas. 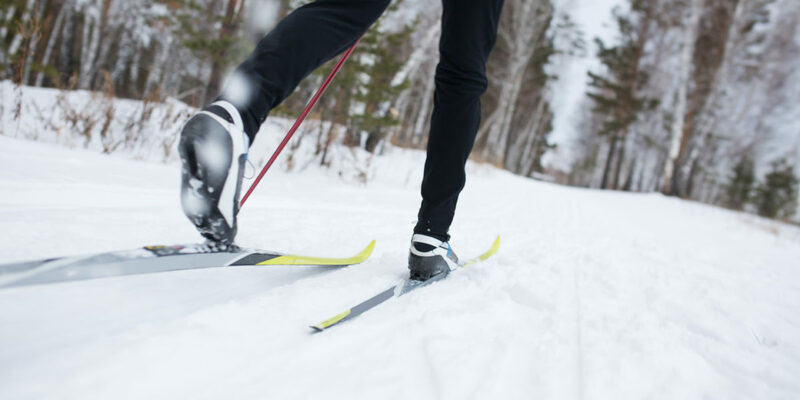 These trails accommodate a wide variety of non-motorized uses such as skate skiing, walking, biking, and pushing baby joggers. 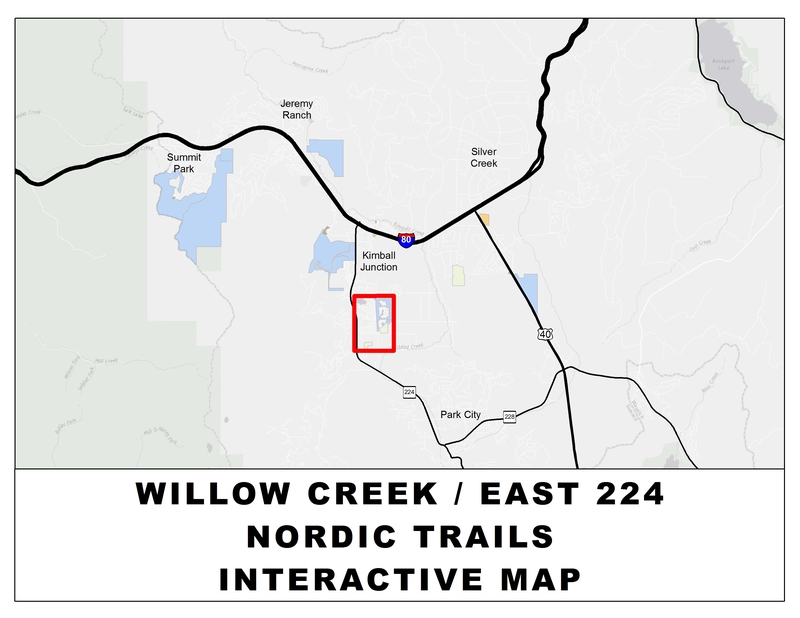 The groomed trails run from The Fieldhouse and Kimball Junction all the way into Park City via the East 224 Connector Trail and McLeod Creek Trail. 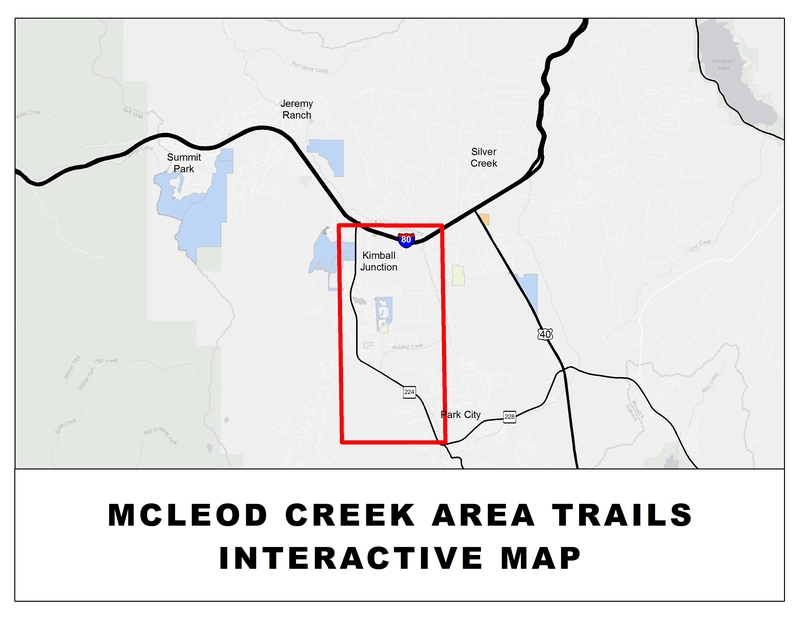 The trail runs along the Swaner Nature Preserve, through the historic Wallen Farm site, across narrow bridges, through the neighborhoods and Willow Creek Open Space before connecting with McLeod Creek Trail. 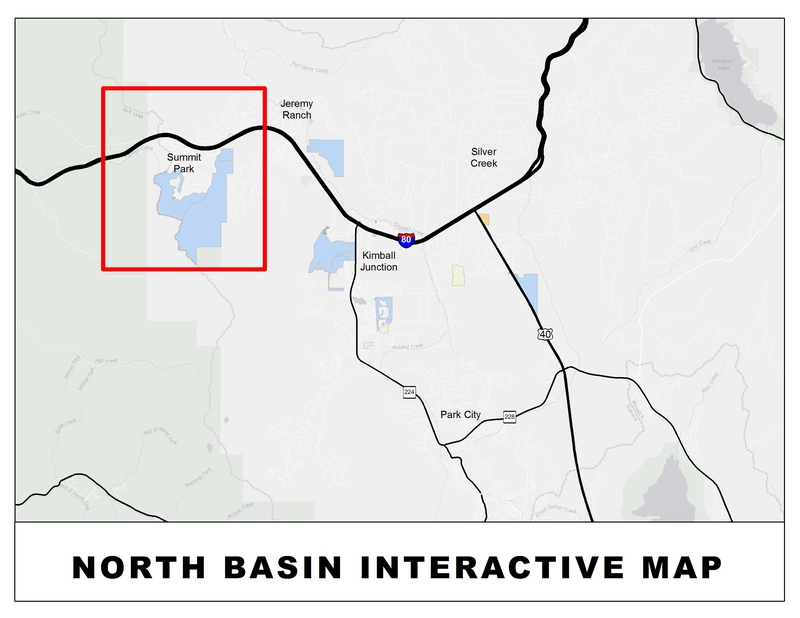 Add some extra loops around the Willow Creek Open Space and Miss Billy’s bypass on the way into town. 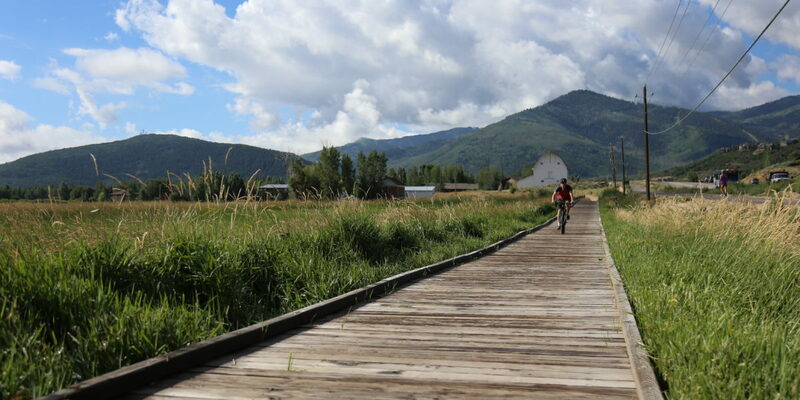 McLeod Creek Trail runs by the Copper Moose Organic Farm and through the woods along the creek, passing beaver ponds and elk habitat, before paralleling HWY 224. There are 4K of classic lanes set in the Willow Creek Park area and 2K on Miss Billy’s Bypass. 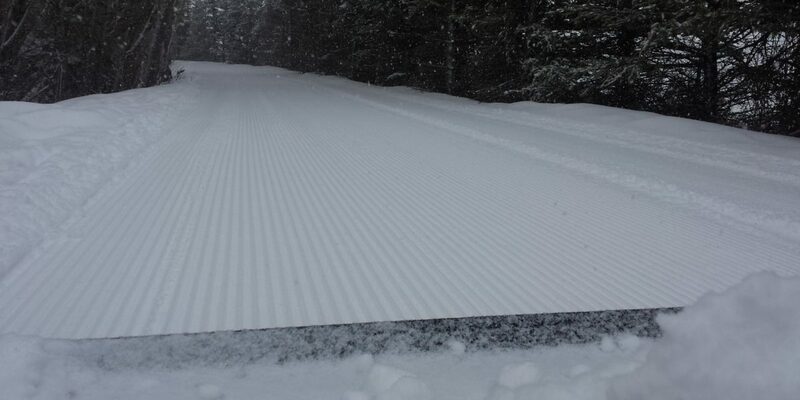 A Winter Grooming Report is updated each time we finish grooming. Parking: Please park at Willow Creek Park, Matt Knoop Memorial Park, the Basin Recreation Fieldhouse, or the trailhead across from The Farm to access these trails. Notes: Dogs should be cleaned up after, leashed and IN CONTROL at all times. 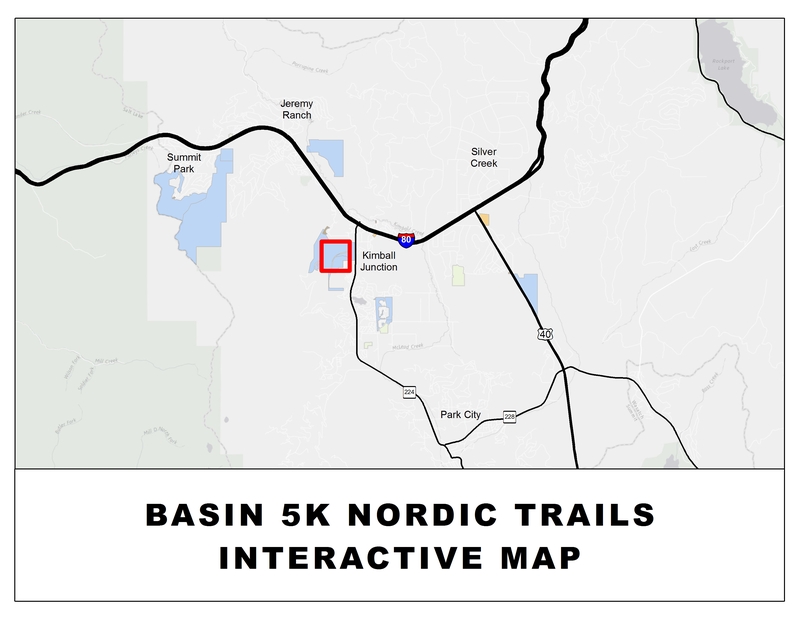 Dogs are not allowed on the Basin Recreation Nordic 5K. 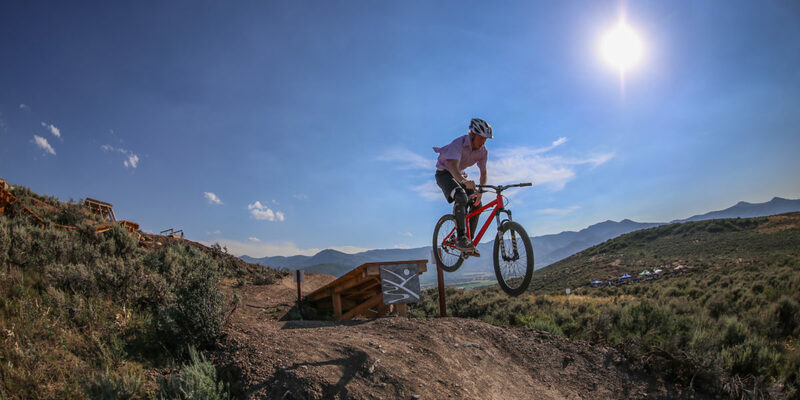 The Basin Recreation and greater Park City area paved trail system offers commuters and recreationists connectivity throughout the Snyderville Basin. It is now possible to be on a paved trail from Deer Valley all the way to Summit Park. 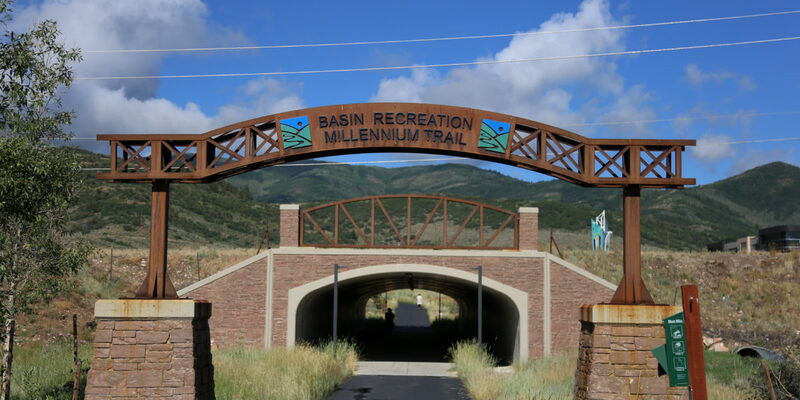 The Millennium Trail begins in Summit Park at the Parley's Summit Exit on I-80 and parallels Kilby Road bypassing Kimball Junction before following the west side of SR-224 to the Park City Nursery and then through the neighborhoods to the Lower Canyon Village. 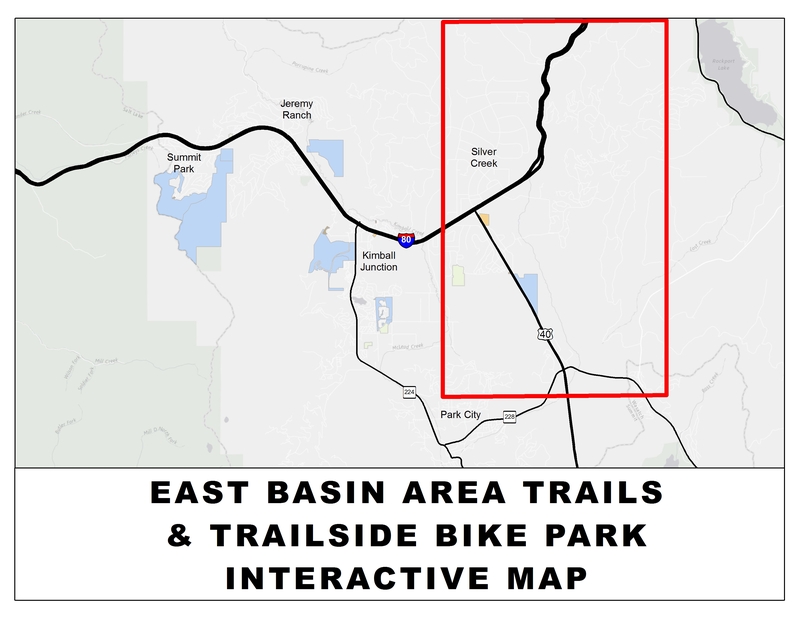 When across from Redstone, trail users can cross under SR-224 and travel all the way to Park City via the Basin Express Trail along the east side of Highway 224 or use the East 224 Trail to connect to the Highland Drive Trail; this will connect Kimball Junction to the Silver Quinn Trail which parallels Hwy 40 into Park City. Use the pedestrian underpass at The Fieldhouse to connect to Highland Drive Trail with Rasmussen Road. The Rasmussen Road Trail provides a connection to Jeremy Ranch. We hope that you will take advantage of this healthy and green alternative way to get around town! Parking: There are several options for trail access: parking at Gorgoza, Jeremy Ranch Elementary School, the Basin Recreation Fieldhouse, Willow Creek Park, Matt Knoop Memorial Park, The Farm Trailhead, Highland Drive, Quinn's Junction, Deer Valley.